Known for her role as Jenna Maroni in the NBC Comedy Series, 30 Rock, Jane Krakowski is a recognized American singer and actress. With five Primetime Emmy Award nominations, she has definitely shown that her acting prowess is no joke. Here’s everything you need to know about the dynamic actress. 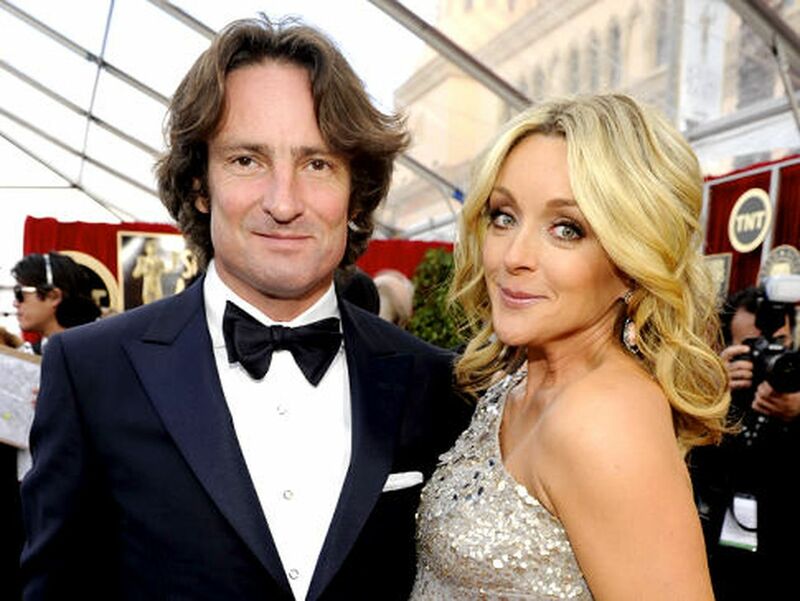 Jane Krakowski was born on October 11, 1968, in Parsippany-Troy Hills, New Jersey to Ed and Barbara Krajkowski. Her father is a chemical engineer and her mother – a college theatre instructor. Her family has ancestral roots in Polish, French, Canadian and Scottish cultures. As a young girl, she was introduced to local theatre, thanks to her parents’ activities, especially her mother. At the age of four, she took ballet lessons but had to stop because she had the ‘wrong body shape’. She then attended Professional Children’s School in New York City where children are trained to be actors and dancers. She went on to attend Rutgers University, Brunswick. Krakowski got her first big television role in the NBC soap opera, Search For Tomorrow where she played the role of Theresa Rebecca Kendall in 1984. Her performance earned her two consecutive Daytime Emmy Award nominations. She also played the role of Elaine Vassal on Ally McBeal for five years to critical acclaim. By 2006, she was cast in the comedy Series 30 Rock which earned her the fourth nomination for Outstanding Supporting Actress in a Comedy Series. In Unbreakable Kimmy Schmidt, Krakowski was cast as Jacqueline White and this earned her a fifth Emmy Award nomination. She has also made guest appearances on Law and Order: Special Victims Unit as Emma Spevak; The Simpsons as Zhenya; Everwood as Dr. Gretchen Trott and Early Edition as Dr. Handelman. Away from television series, Jane Krakowski made her film debut in the 1983’s National Lampoon’s Vacation. She also featured in films such as Alfie, The Flintstones in Viva Rock Vegas, Go, Stepping Out, Mom at Sixteen, Cirque du Freak, Kit Kittredge: An American Girl and many others. She was originally meant to feature in the horror film Sleepaway Camp but decided to quit because the death scene of her character was too violent. In 2004, she starred in the movie version of A Christmas Carol where she played The Ghost Of Christmas Past. In 2006, she voiced the deer, Giselle, in the animated movie, Open Season. Jane Krakowski’s career diversity extends to the theatre and being a singer as well as adds colour to her acting on stage. She appeared in the Broadway Musical Grand Hotel as a typist and an aspiring film star and was nominated for a Tony Award. She is also a talented singer and has contributed her vocals to the album Love Songs & Lullabies by Jim Brickman. Jane Krakowski and Jim Brickman also recorded Christmas songs on the album Broadway Cares: Home For The Holidays. By 2016, she played the role of Ilona Ritter in the Roundabout Theatre Company’s Broadway She Loves Me alongside Laura Benanti and Zachary Levi. In the same year, she won the 2016 Fred and Adele Astaire Award as Outstanding Female Dancer in a Broadway Show and Outstanding Featured Actress in a Musical. Though there is not much information on her past relationships available; it is, however, clear that she dated Robert Godley for more than a year. The pair got engaged in December 2009 but did not get married as soon as expected. They, however, welcomed their first child, a son – Benett Robert Godley on the 13th of April, 2011. Robert Godley, born on the 7th of July, 1971, is a British menswear designer. He has worked for ‘David Evans & Co. Silk Printers’, ‘Mantero Silk Printers’ and ‘Drakes of London’. He has also served as Creative Director for Polo Ralph Lauren. By 2005, he founded the menswear label ‘Psycho Bunny’ with his friend and partner, Robert Goldman. He is also a fisherman and owns a fishing boat named Ginger Ninja. Robert Godley is a philanthropist and he actively supports the Big Brothers Big Sisters of America – a non-profit organization where children are helped to reach their potentials through relationships with volunteer mentors. By 2013, the couple got separated. Since then, Jane has kept a relatively low profile when it comes to her dating life and she has never been married. Is Judy Greer Her Sister? Judy Greer and Jane Krakowski were both involved in the Tropicana Trop 50 Sisters Commercial which has led to many people believing they are sisters. However, the two are not related. Jane, however, has an older brother; although, not much is known about him. Having soared and built a successful career, the beautiful actress has an accumulated net worth of $12 million. Though singing and acting are her main sources of income, she still garners wealth from endorsements and sponsorships.